Discussion in 'The Garage' started by Sandscape, Apr 7, 2019. Does anyone else get nervous when they try to fix something on their bike? As a newer rider, I got nervous putting my bike away for the winter because I wasn't sure I'd do everything right and it would degrade somehow. I get tense reading maintenance manuals and just think "Man, there's so much that could go wrong". I love everything about motorcycles, I'm just wondering what kinda mindset I should have when solving mechanical issues, especially for the first time. "You can reduce your anxiety somewhat by facing the fact that there isn't a mechanic alive who doesn't louse up a job once in a while. The main difference between you and the commercial mechanics is that when they do it you don't hear about it—just pay for it, in additional costs prorated through all your bills. When you make the mistakes yourself, you at least get the benefit of some education." spokester, scottdc, Rockred and 12 others like this. What kind of bike are you working on? Just go slow, pick one task like checking your battery, pulling your battery, cleaning the airbox and doing an oil change and master things one-at-a-time. While your in there, look at other things. See anything LOOSE, leaking, broken or MISSING? Much can be caught with visual inspection. You can do this. You will feel more confident as you go. I have had my bike stripped to the bare frame, strung up like deer a couple years ago deer for a long, winter overhaul. I enjoyed every minute of it, (when I wasn't dealing with bearings.... ) and value all that I learned about my own bike. It makes you more confident as you travel distances, knowing that you know some areas of your machine in considerable detail. Anxiety is part of the deal. It lessens after time w/experience. The "factory" shop manuals are good guides if you can follow instructions but be realistic of your skills/capabilities. Will you ever screw up? Sure. That's how all of us learn. I'll tell you a story about my first motorcycle. It was about 15 years ago, and I saved up what I could and found a bike I could barely afford on eBay, a 1991 Honda ST1100. I took a Greyhound bus to Dallas to pick up the bike and rode it home. For the most part, it was in good shape, but the bike had been sitting for a long time, plus it needed tires. So a couple days after I bought the bike, I brought it into the Honda shop and asked them to go through the whole bike. Change all the fluids. Check anything that should be looked at. And install new tires. The service rep filled out a work order and gave me an estimate: over $1500 worth of work. There was no way I could afford that. So I took the bike back home, bought a service manual, and started reading online how to fix and check things. YouTube can be great for showing you how to do some of the smaller jobs. It's also likely that more than a few people on this site have the same bike as you, and they can answer questions you have. And you can join a site dedicated specifically to your bike. The guys on the ST1100 website were incredible whenever I was trying to figure out how to fix something on my bike, and more than one of the guys came over to help me. As it turns out, I'm very thankful the shop wanted so much money to work on my bike. It forced me to figure out how to do it myself, and in the end, I much prefer working on my bikes myself, rather than someone else. One thing I always say: nobody cares more about your bike than you do. flinders_72, Dan Diego, nk14zp and 4 others like this. Imo research research research. Know what you're doing before you start. Be deliberate. Go slow. THINK. Assume nothing. Take pictures to aid reassembly. Enjoy the pride of DIY. the whole rear end is coming off for an output shaft seal issue. Take pics before you remove something. You can build anything with today’s resources. phreakingeek, nk14zp and sieg like this. 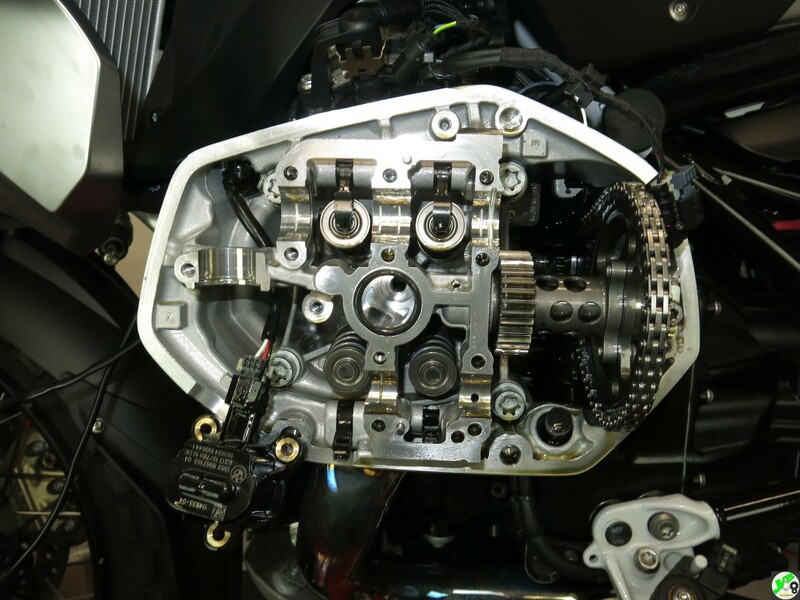 Unless you're messing around with engine/transmission internals, fuel maps, or ignition timing modern bikes are actually pretty robust and it's somewhat hard to catastrophically damage them during casual maintenance or repair. If you do these things you'll be miles ahead of most home wrenches and many paid mechanics. spokester, mitchapalooza and JimVonBaden like this. The chutzpah is strong in this one. vagueout and JimVonBaden like this. Think this way - "NO ONE will care more about my bike than me". It is not Rocket Science - Have Fun and Good Luck. JimVonBaden and Treedguy like this. this is why everyone should change the oil of the family car with their sons and daughters. For me it depends on the bike. My DR, tear right into it. FZ09, I don't have the slightest idea what us going on. Totally true statement. The internet and the availability of tools and hardware to the average person has been a major game changer in this. spokester, vagueout and ohgood like this. there is a YouTube video ! I'm scared shitless and I'm a diesel tech, everything is so tiny compared to the engines I work on. Spend some time watching Mustie1on YouTube. He has an easy going style..lots of can we get it running again type of videos. If you watch a few videos of his you will be thinking about your own project to work on. "Winterizing" a motorcycle is more of a ritual than a necessity. It's a good idea to have it on a battery tender or, if you live in a really cold place, pull the battery and leave it inside for the winter. When you bring it out in the spring, top off the tires, check the brakes and lights and you should be good to go. Helps a great deal to have a good roomy space to work, a lift or ramp is really good, likewise a good clean work bench and a radio/music playing softly. I use sides of cardboard boxes on the floor to put pieces on as they come off, shallow cardboard boxes from a fruit barn to leave parts and assemblies in . I use kerosene for most of my parts cleaning. Make sure you start gathering clean rag, a roll of kitchen paper towel is handy as well. You ask if any of us get nervous prior to doing some work? i do at times. A couple of weeks ago i had to go back into my 1150 to re- replace the output seal that leaked sometime after i rebuilt the gearbox. 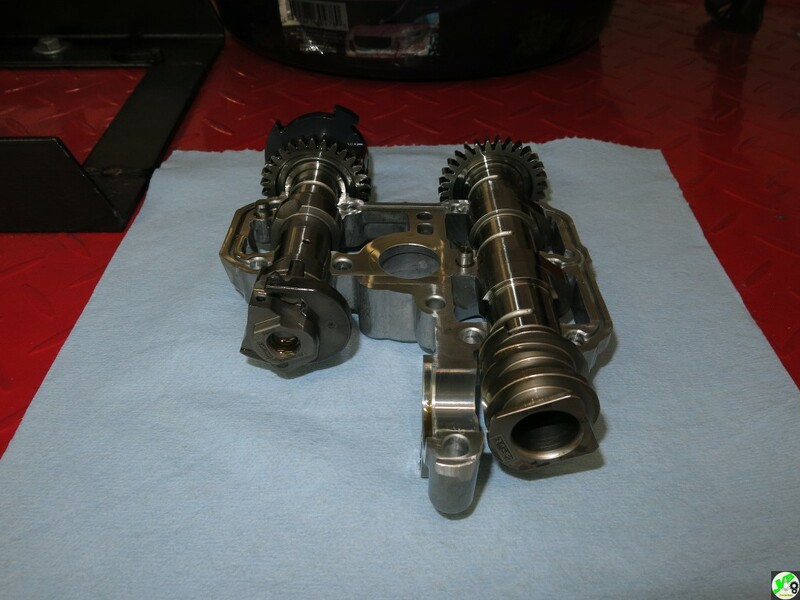 My inner brain obviously was telling me i failed ( with that one seal) and that made me nervous doing that seal again in a way that approaching the whole gearbox rebuild didn't. Maybe it's an age thing, fear of failure i would reckon. I'll ad to that that anyone who says they don't make mistakes is a bullshitter or doesn't do his/her own work. You will build on your experience and learn from stuff ups and mistakes. This particular forum has had huge meaningful contributions of how to's over the years, a great resource, quite a bit on youtube, and although i don't have any, from what i see JVB's dvd/download maintenance guides are excellent value. Oh, and a shitload of tools!